Do security systems work when the power is out? This question is very likely to pop up in your mind before purchase. And getting a security camera that works even when power is out is important to protect you 24/7/365 from the vulnerabilities due to power cut. 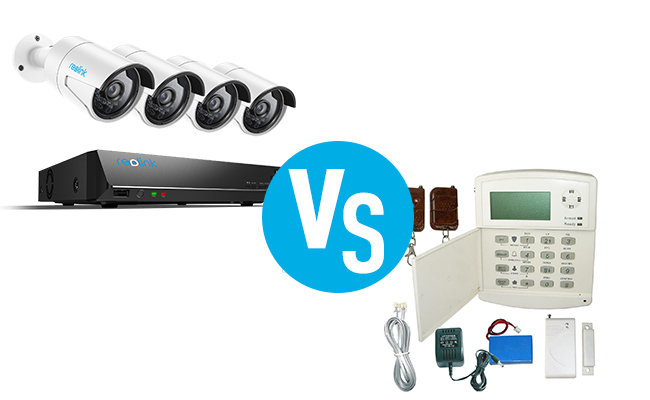 Actually, the answer depends on which type of security system you are using. But no worries, you will find a solution to survive the power outage here, surely. Generally, the security cameras will stop working when the power is out, whether it is for recording, motion detecting, or sending push. But battery powered security camera is an exception, which runs on battery power and will continue to record without electricity. It’s easy to understand that the plug in CCTV won’t work without electricity, since they will need electric power to work and network to transmit data and communicate with the recorder, router, and your phone, the monitoring devices. To dig further on how security cameras get power, you may check our previous post. Another thing that’s worth mentioning is that, if you lose power, the security system can’t send data out, since the network is unavailable. So you may not access the CCTV system remotely when the power is out. However, there is no need to feel helpless in such situations. Your security system can survive those tough times with the following 4 solutions, and then you’ll be protected 24/7/365 continuously. Check out the following 4 solutions to get your security system work without electricity. As I mentioned above, the battery backup CCTV cameras work without electricity. Powered by batteries, they can work independently when the power is out. Whether there is a power cut or network problems, they will detect and record motion events, save the footages of burglars just as usual. 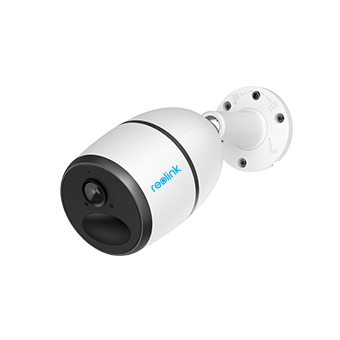 More than that, some battery powered cameras, like Reolink Argus 2, work with solar panel to provide non-stop power. So you don’t need to worry about that the camera battery will be dead in real needs, like when the power is out. Rechargeable Battery & Solar Powered; Outdoor/Indoor Protection; 1080 Full HD; Starlight Night Vision; 2-Way Audio; Live View Anytime Anywhere. Editor’s Note: You may not access the camera via your phone and receive push notifications during the power outage. 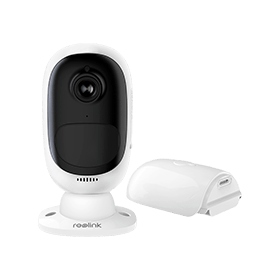 If you want to remotely access the camera anytime anywhere, even when the power is out, then the Reolink Go will be your perfect option, which works without electricity and WiFi network. No WiFi & Power Needed; Rechargeable Battery or Solar Powered; 1080p Full HD; Starlight Night Vision; 2-Way Audio; Live View Anytime Anywhere. If you are having trouble deciding the best security camera without electricity, this buying guide may help you out. Just follow Elvia, an expert with 5 years experience in the security industry, to get the best pick. If you are not ready to get a battery backup or solar powered security camera, you may also DIY a solar powered security camera yourself to get protected when power is out. However, be prepared for the learning curve and some hard work ahead. Inspired by a Reolink user, solar powering his wireless Reolink RLC-411WS to monitor his backyard (Check the video captures), more security camera users are looking for ways to set up solar panel for their cameras. And here, our senior editor, Olivia, has rounded up a post to shed lights on how you can solar power your wireless outdoor security cameras. This enlightens us on a new way to survive the electric power outage. After all, the sun will not be affected by anything and the energy was stored inside the cameras just like batteries. UPS (Uninterruptible Power Supply) is a surge protector that provides emergency power to your security system when power is out using the pre-stored inside battery backup. All you need to do is connect the devices to the UPS. 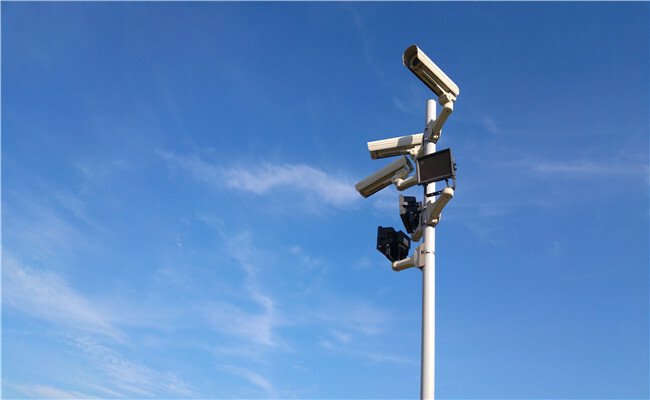 For a typical security system set, the necessary counterparts include IP cameras, the security camera recorder (DVR or NVR), a router, and a monitor. If you are using a standalone security camera, the UPS battery backup may be a practical way to deal with power outage without being too tough on your pocket (around $30). However, when it comes to security systems, a decent multiple channel UPS will cost you over $100, which could be fair enough for a quality battery backup camera. Actually, the camera solution also saves your money and time in running long cables to connect the above mentioned devices. Pro Tips: Wondering about the UPS battery backup time, cost, and the easiest way to get battery backup when power is out? They are all explained in our previous post. Check it out. For long-term power outages, you will need a stand-by generator which will automatically start generating electric power when the power is out using gasoline. Do note that the backup generator for security camera system will need time to start up (usually seconds or minutes), and thus you may still require backup battery power to ensure the uninterrupted power supply. So get a UPS and backup generator together is technically ideal to keep your security system working even if there are several days power outage. But, still you need to make a tradeoff between the cost and its return. The backup generator is normally expensive and they are mostly used in business which shall stands huge loss due to power outage, like the supermarket. And some apartments share a backup generator among the neighborhoods. Beside security camera systems, many still use traditional security alarm systems and wonder whether the house alarm will go off when power is cut. Unlike security camera systems, security alarm systems only offer alarms by sensors mounted to doors, windows and walls, and they react differently to power outage due to their various ways in communication with the monitoring center. ∙ Traditional Phone Lines: This kind of system will continue to work during the power outage since the phone line data transmission doesn’t depend on electric power to work. But you have to use UPS for your security control panel. When the UPS begins to work, you will hear alarm system beeping in power outage. ∙ VoIP (Voice over Internet Protocol): As the name suggests, the devices delivers data through Internet Protocol networks. Thus, with the network broken down during a power outage, your ADT security system will stop working. ∙ Cellular Radio: Using the same technology with cell phones, your security system will not be affected by the power outage until it runs out of its backup battery power (usually lasts for over 24 hours) like your phone. If you are really worried that your security system won’t work when the power is out, putting a battery-powered security camera in place (or just for emergency use) is an easy way I could think of. Have any other creative ideas? Please share with us in the comment down below! This entry was posted in Home Security FAQs and tagged security camera power out, security camera power supply. Flora is an editor with a deep passion for smart home gadgets and loves the idea of worry-free life. She smiles a lot, enjoys hearty food, movies, traveling, and her latest obsession is cooking. You can talk to her via email at flora#reolink.com (replace # with @)! This industry has emerged tremendously. When I started out in San Diego we used actual film with momentary buttons for suspicion and locked in for alarm in banks. You need to read up on the different styles of cameras….some use bnc cable connections and the clarity varies greatly, poe uses cat 5 cable and better clarity….make a list of what you want and how you want to see it, use it and hear or use it..then get several offers and watch how they respond to your requests. I favor techs that do not say that what you have is to old to work on. Thats not true, but then again what you want to see etc, it maybe to old but at least they can work it in. Thank you for sharing your thoughts with us. I totally agree that the best solution is the one that could best meet our needs no matter what technology it uses. And new technology always tells us what a better security could be and leaves us choices of whether to try it or not. That is not correct. When using the UPS, you do NOT have to run any cables to it, all you have to do is plug the NVR into the UPS and the UPS into an outlet. Plug and plug that’s it! Almost every system now is POE and gets the power through the Ethernet cable. So I’m not sure why you said that? Hi James, thank you for your comment! It’s true that the NVR security camera system needs no extra cable to connect the UPS, which is a real plug and play solution as you kindly pointed out. Well, if you own several standalone cameras, especially the WiFi cameras that usually get power from the nearby outlet, you will need the help of some extension cables to run wires back to the USP. Thank you for reminding us of another advantage of the security camera system, and I’ve added that to my content to make it more accurate. Copyright 2019 © Reolink Digital Technology Co., Ltd.